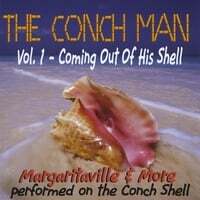 "The Conch Man" series of CD's was the idea of Steve and Dawn Hendrickson at Tropical Music International. 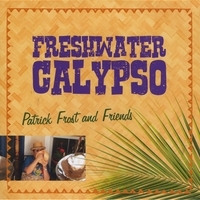 After hearing Patrick's Freshwater Calypso CD, Steve gave Pat a call and pitched the idea of a series of CDs of popular island tunes performed on the Conch Shells with a healthy dose of Steel Drums and island rhythms. Volume One was released in early 2010 and has been a hit with audiences around the globe. There has never been an album like this and you will surely want to add it to your island collection. 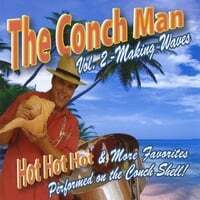 Volume two in "The Conch Man" series follows up with a fine collection of island favorites featuring the Conch Shell playing of Patrick Frost, aka The Conch Man. This completely unique series of CDs is a delight to lovers of island rhythms, Steel Drums and of course, the unmistakable sound of the musical Shells. Patrick's 2009 CD brings together many of the friends that he has performed with for an all original collection of songs and stories that capture the spirit of the islands as well as Florida's Tropical lifestyle. A delightful blend of Steel Drums, Conch Shells, rhythm and song. 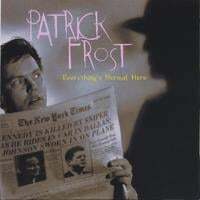 This 1997 release is what Patrick calls his "Producers' Album". This Pre-Conch Man Steel Drum era release is designed to be consumed as an Album experience or concept CD, Patrick breaks all the rules of a freshman release and delivers a diverse stylistic journey that includes everything from TropRock to Twelve Tone composition with a healthy dose of Beat Poetry and funky, quirky Pop/Jazz. © 2019 Patrick Frost Music . All Rights Reserved.